Better be safe than sorry! Check out the top winches you can buy to always get you out of a sticky situation. They are easy to install, maintain and use. It’s literally a life-saver. As life would have it, sometimes it’s better to be cautious than precarious. When you could literally be in a situation of saving somebody’s life, it is always handy to have a car winch which can “pull” you out. Winches basically work as a mechanical device to wind up or wind out a rope. 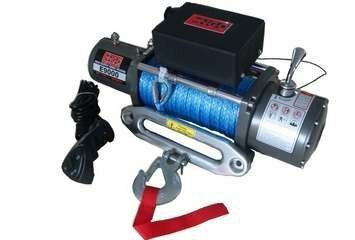 But, to find electronic winches of durable and resistant quality is hard, which leads us to the Engo Winch review that will help you choose the best winch to pull you out of the hole next time. The Engo 77-09000S 9000 Lbs weighs only about 61 pounds with a tangent of 24*14*10 inches which helps toward pulling in for a longer distance – It also provides great resistance against any kind of weight and offers the best balance. While as the ENGO SR9 utilizes it’s state of the art Series Wound motor which has a 3-stage planetary gear train and even a rugged hand remote – It comes with free spooling as well. 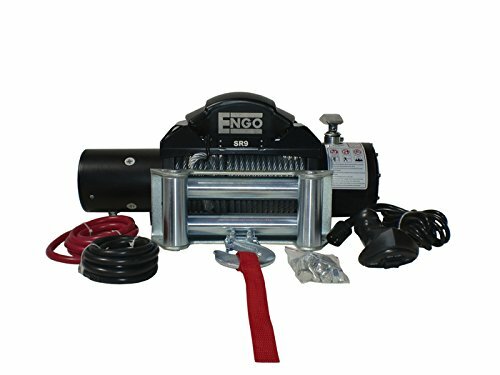 In addition to the above two, the Engo E9000 Electric Winch is one of the new additions to the E series that has a very fast recovery system to ensure efficiency – The system has a weight of about 85 pounds and a standard 4 way galvanized roller fairlead as an added benefit. Going off-roading can be a risky affair what with any wrong turn; you could land yourself into some sticky situations. But, the Engo Winch is muscle bound with a line pull of up to 9000 lbs., which is just about enough to pull you out of life-threatening situations. Since it is powered by a 5.5hp wound motor, it will ensure that you are never in a situation to run out of power and slip. It can not only hold a lot of weight but also be easily carried along for long duration trips. Few people have been impressed with the safety control feature that lets you have control over its settings with a 12’ wired remote control. Many of the engo winch reviews have mentioned that it works for hours together as well. If you are the kind of person who likes to be safe rather than sorry, then this is the right product for you. It has an efficient wound motor with the added option of wire cable or synthetic rope. It not only supports a 3-stage planetary gear train but also automatic load-holding brake such that you never lose control over the winch. The product also comes with stainless steel fasteners that allow for ease of use. Many customers felt that the product was easy to install and learn from the manual. But, many also felt that it was a little on the expensive side. The winch comes pre-loaded with a 92’ of 21/64’ wire rope that is handy when you have to pull in or pull out high weights. It weighs a total of 85 pounds, which in combination with the extended wire helps to hold more weight. The gear has a running ratio of 265:1 that ensures a fast recovery rate. Though many reviewers feel that the system heats up very fast which can be an issue when using the winch, the company has excellent customer service that we have also vetted. The product with the complete set of the wired remote control and lifetime warranty. What are the advantages/Benefits of using a winch? Winches offer a range of benefits, which may not be all that obvious to us. But, risky situation or not, it is advisable to always invest in a good quality winch. Winches are extremely useful for accidental situations when you need to rescue others or yourself, especially when off-roading. It can be easily attached to your Wrangler, Jeep or Car. The winches are durable and can even last for a lifetime. With new technological advancements, winches are automatic with a very fast recovery rate and weight resistance. Rescue operations are more efficient and many more sticky situations can be adversely avoided. Winches can be utilized for daily use of lifting heavy-duty goods. It is always advisable to go through a list of prerequisites before using any new product just to be careful. Always ensure that you are carrying a pair of heavy duty gloves when handling the winch as it has wire ropes that can hurt you. Carry the Clevis or D-shackles to ensure that you are able to connect the winch to the vehicle with utmost safety. Ensure to never use a recovery strap for any operation as they store a lot of energy and if there is any snap, it will act exactly like a rubber band and give you a jerk which can be fatal. Remember to take a step back, assess the situation and then make a pla accordingly. How to choose the right winch? The most efficient way to choose the right winch is to calculate the line pull needed for the application. This will in turn give you a brief idea of how long and big your ideal winch should be. Each additional layer pulls a decreased weight of 10%. Try to go for free spooling winches such that you don’t waste your time trying to spool your winch. A remote controlled winch is ideal as it decreases your effort hugely. 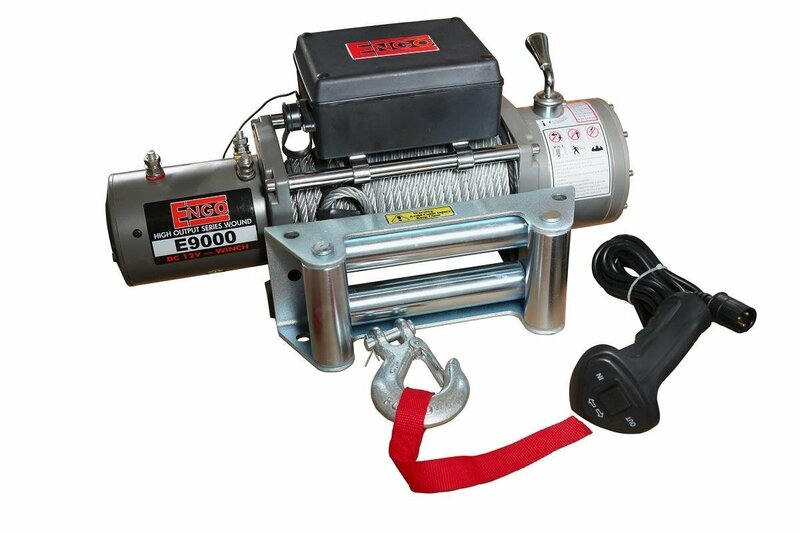 In this review, Engo 77-09000S 9000 Lbs winch is our top choice. It not only is lightweight, easy to install and weight resistant. But, it also supports free spooling in addition to a remote controlled feature that adds a cherry on the top. It is also not on an expensive side that makes it all the more worth it for us.